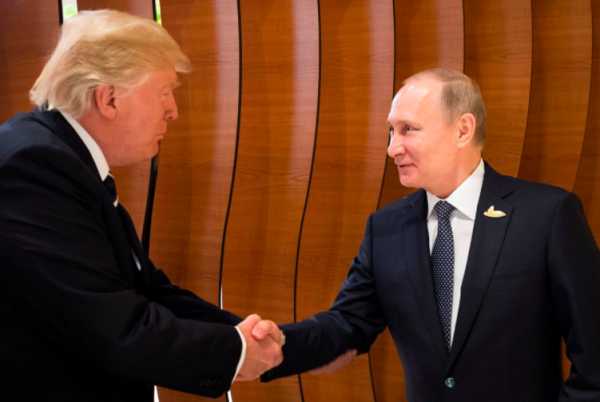 Moscow, July 17, Interfax - Head of the Synodal Department for External Church Relations Metropolitan Hilarion called meeting between presidents of the USA and Russia on sidelines of G20 "a road to the future" and pointed out to its immediate result - ceasefire in Syria. “Any attempt to tune the dialogue, to meet face to face and discuss problems that had been discussed only in distance is a road to the future, which we have to follow. It is very good that the meeting was held, that two presidents looked each other in the eye and listened to each other. We see its immediate result – it is ceasefire in Syria. It is very serious as it will help save human lives,” he said on the Church and the World program on Rossiya-24(VGTRK) television channel. Presidents of Russia and the USA in result of bilateral talks in Hamburg reached an agreement about ceasefire in southern districts of Syria. In his interview with CBN Trump called such ceasefire an example of where the relationship with Russia proved beneficial. 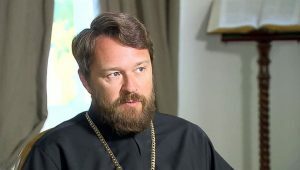 Metropolitan Hilarion expressed hope that this meeting will help to develop joint initiatives and give a start to a long term process, which will allow the two countries to listen to each other and understand each other better.